It's winter in the Catskills, and while the landscape looks as though time stands still, the region is teaming with outdoor winter fun! White snow glistens on frosty mountain peaks. Rolling farmland is blanketed in a smooth layer of sparkling white. Pristine waters freeze into natural sculptures. Experience the ultimate winter wonderland and join the many skiers and snowboarders flocking to stunning mountain resorts, or explore backcountry trails on Nordic skis or snowshoes. Make lasting memories with your family tubing down a massive hill or relax in a beautiful base lodge while the kids take their third "just one more run!" While it's close enough to New York City for an easy weekend trip, there is so much to do you'll want to spend your entire vacation exploring outdoor winter fun in the Catskills. 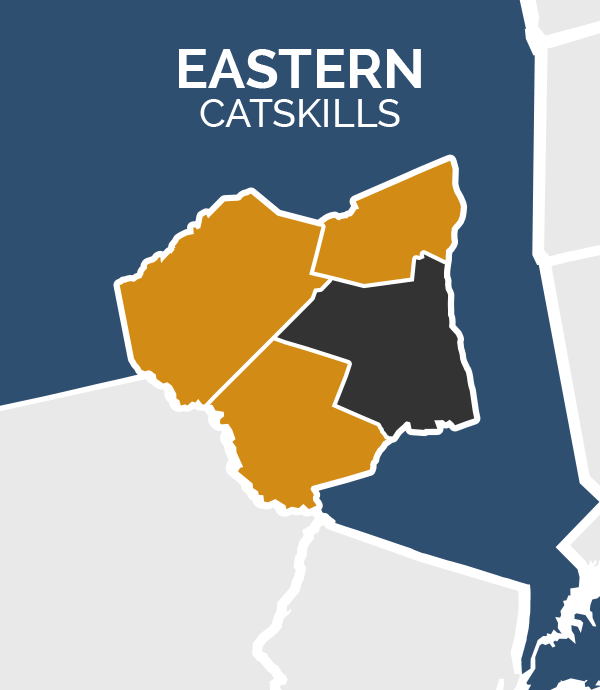 The mountainous terrain of the Catskills is home to some of New York State’s best ski resorts. With a wide variety of terrain, plenty of natural snowfall, and prime conditions for snowmaking, both expert riders and beginners will find the slopes of their dreams. Challenge yourself on rugged, ungroomed black diamonds, catch serious air in the terrain park, or enroll your newest skier in lessons at one of many on-mountain ski schools. As you swish down the mountain, be sure to take in the stunning views all around you. Dress appropriately for the temperatures. Bring snacks and keep kids hydrated. Take lots of breaks and get warm when needed. Have kids wear helmets & goggles. Keep it fun and enjoy your time together! You don’t have to be a skier or snowboarder to enjoy a day at the mountain. Many of the Catskills top ski resorts offer off-mountain activities for the perfect family-friendly vacation – including snow tubing! Some resorts will even carry your tube back up the mountain for you, or let you take a lift so you don’t have to walk. If whizzing down a mountain isn’t for you, try ice skating or relax inside the lodge with a warm beverage and a tasty meal. You can even pamper yourself with a spa treatment! It’s the perfect après ski experience to round out a day at the mountain. 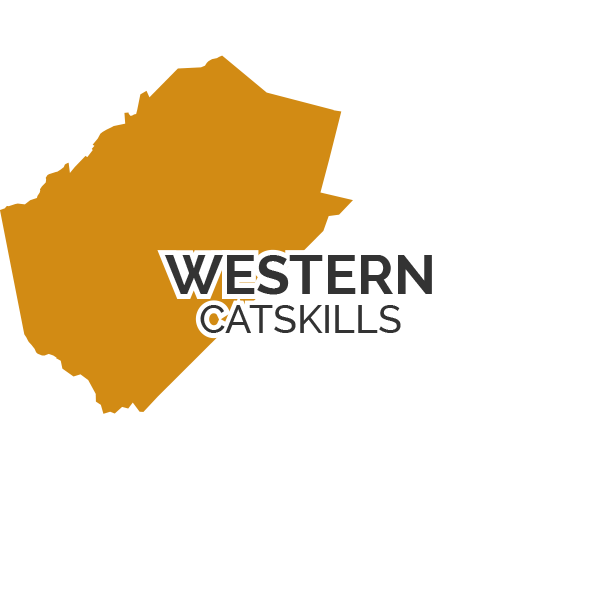 The Catskills boasts miles of groomed and ungroomed trails through peaceful forests and over glistening fields – the perfect terrain for cross-country skiing and snowshoeing! If you’re new to the sport, or looking for manicured trails, visit one of several Nordic Ski and snowshoe centers. Or, if you’re a seasoned skinny skier, explore the backcountry on miles of public trails. 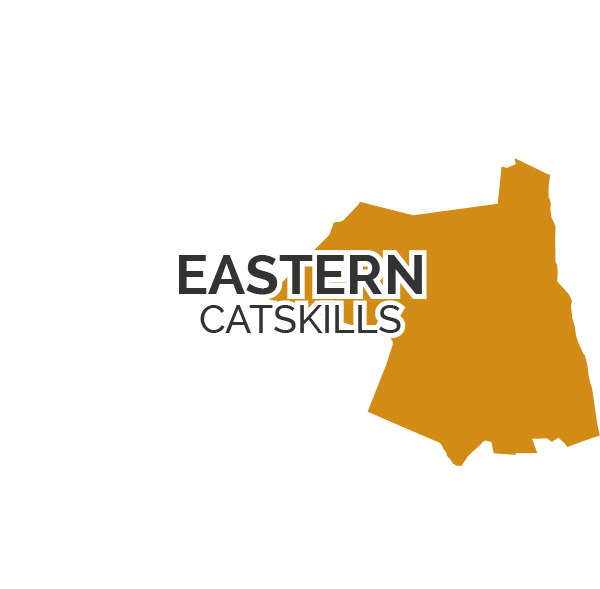 Put a little speed in your Catskills winter experience. 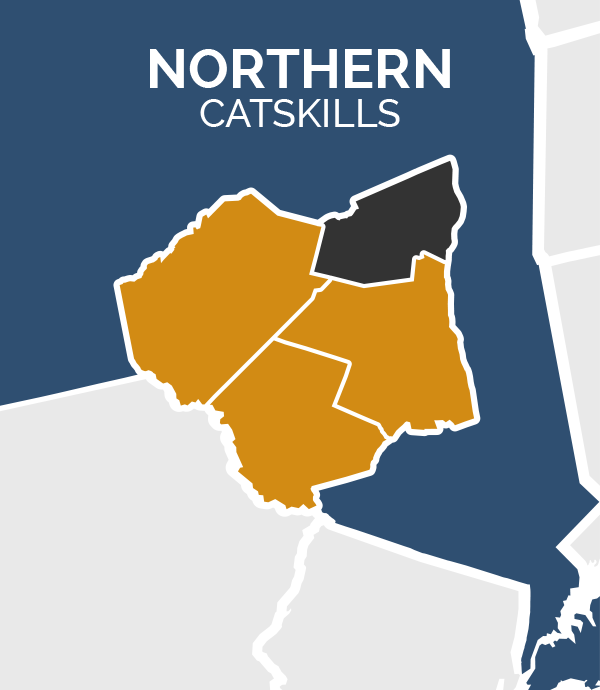 Fire up a snowmobile and zoom across the Catskills' rolling country hillsides and through snow-covered woods on the region’s network of designated snowmobiling trails. From interconnecting state trails in the western Catskills, to privately owned backcountry systems, sledders will find plenty of space to satisfy their inner speed junkie. 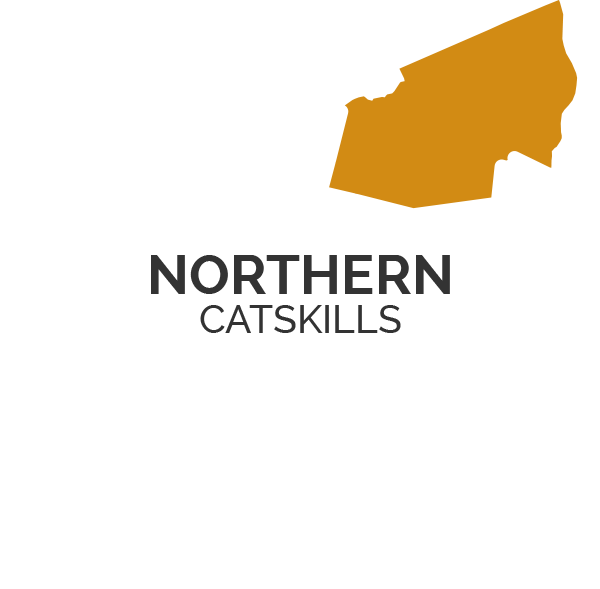 As the closest major skiing destination for NYC residents and visitors, the Catskills are the perfect place to spend your winter vacation! Wax your skis or board, grab some mittens, a great winter getaway is just down the road. 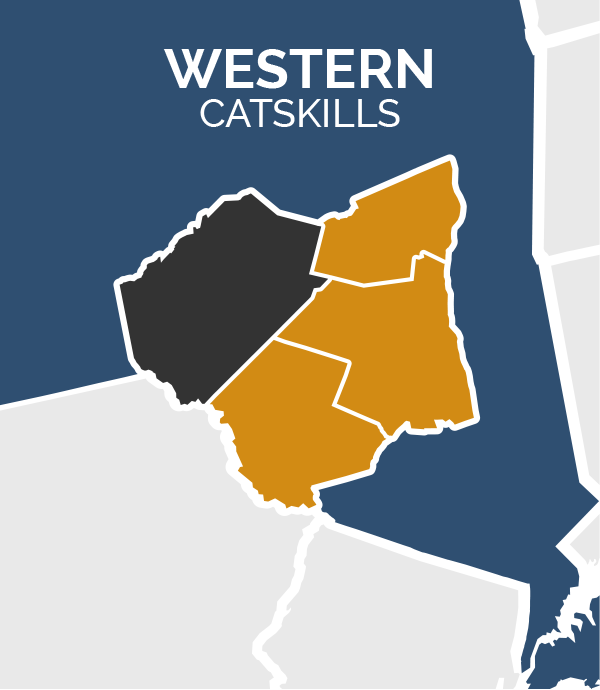 This map will take you offsite to the best winter offerings in each of the four respective regions that make up the Catskills. Enjoy! Take a wine tour, sip sweet ciders, or taste craft brews made right here in the Catskills. 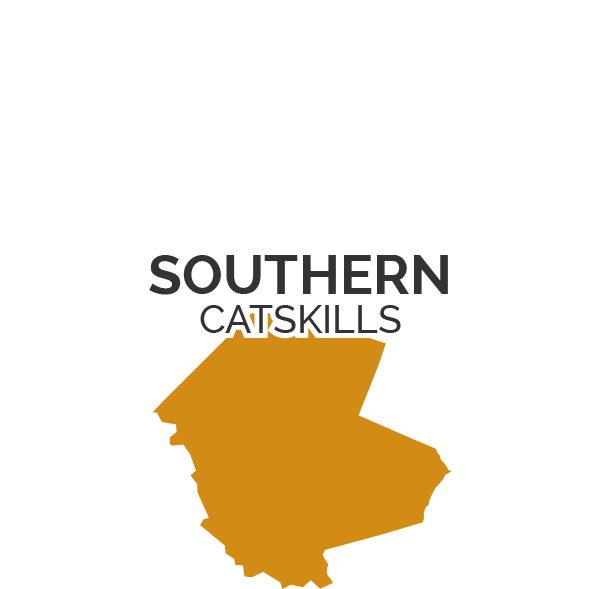 The Catskills offer many opportunities to learn where your food comes from in unique travel experiences.